The Quarterly Outlook of Triangle Entrepreneurs (QuOTE) survey for the fourth quarter of 2017, conducted by the City of Raleigh and the NC State Entrepreneurship Clinic, finds entrepreneurs are more optimistic regarding the next six months relative to responses in the Q3 2017 survey. Among the entrepreneurs participating in this survey, the same percentage – 85.4 percent (vs. 85.4 percent in Q3 2017) – report that they anticipate the next six months may bring increases in sales. In terms of capital spending, a higher percentage – 58.5 percent (vs. 52.6 percent) – anticipate increases, while for employment a greater percentage – 63.6 percent (vs. 60.5 percent) – anticipate increases. “What is intriguing about these data is that this is the first time where there has been an increase in optimism from Q3 to Q4,” says Lewis Sheats, assistant vice provost for entrepreneurship at NC State University, executive director of the NC State Entrepreneurship Clinic, and associate professor of practice in the NC State Poole College of Management. “In the last two iterations of changes from Q3 to Q4, we’ve seen declines in optimism. But, now, across all three areas—sales, capital spending, and employment growth—we see equal or greater percentages of entrepreneurs being more optimistic. These data suggest an inflection point, and we will watch what happens over time with this trend,” Sheats said. Results of this and prior QuOTE surveys are posted to the ‘Clinic Buzz’ section of the NC State Entrepreneurship Clinic website. 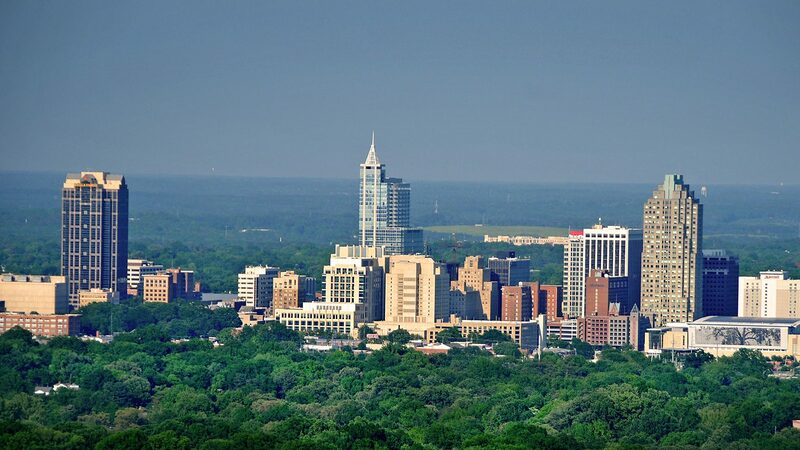 The City of Raleigh and the Entrepreneurship Clinic at North Carolina State University, in conjunction with the Poole College of Management jointly conduct the quarterly survey, which helps entrepreneurial companies in the Triangle anticipate business decisions and plan for growth. Jeff Pollack, an assistant professor in the NC State Poole College of Management, adapted the survey, and analyzed the data, based on the Business Roundtable, an association of CEOs of American companies that conducts a similar survey nationally with large companies. How do you expect your company’s sales to change in the next six months? How do you expect your company’s U.S. capital spending to change in the next six months? How do you expect your company’s U.S. employment to change in the next six months? The results also provide an overall entrepreneurs’ economic outlook index, which is based on businesses’ projected six-month sales, capital spending and employment figures. Over time, trends in this index can be viewed as indicating general optimism or pessimism about entrepreneurship in the Triangle. A full report on the findings is available online at the NC State Entrepreneurship Clinic website. The City of Raleigh and the NC State Entrepreneurship Clinic as well as the NC State Poole College of Management plan to expand the survey. Triangle entrepreneurs who would like to participate should email their name, business name and email address to TheEClinic@ncsu.edu. Participation is free, and responses are confidential.